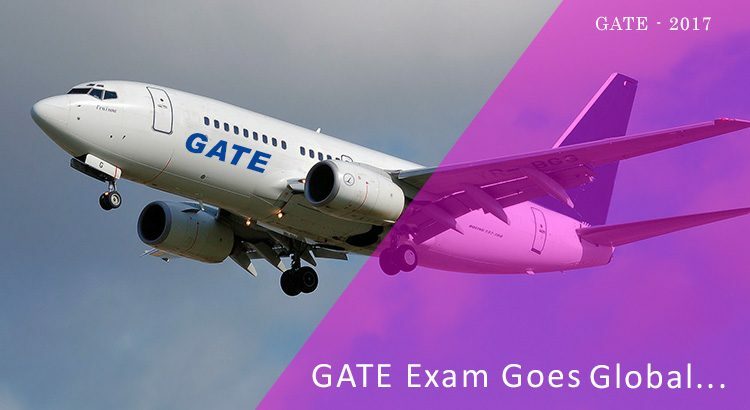 The Graduate Aptitude Test in Engineering (GATE) exam, which determines admission to post-graduate and direct Ph.D. courses in Indian Institutes of Technology (IITs), Indian Institutes of Science (IISc) and other reputed institutes on the basis of GATE score, for the first time went overseas this year. The GATE 2017 exam that was held on 4-5 Feb 2017 and 11-12 Feb 2017 for 23 different disciplines of Engineering and Science witnessed 254 overseas applicants writing the exam from six countries. The six countries from where GATE aspirants took the GATE 2017 exam are UAE, Bangladesh, Nepal, Sri Lanka, Singapore and Ethiopia. A major chunk of the 254 overseas candidates was from UAE (199 examinees from Dubai). Next to UAE, the highest number of overseas candidates that took the GATE 2017 exam was from Singapore (33 examinees). According to the Chairman of GATE 2017, Govind Chakrapani of IIT-Roorkee, in the year 2018 the GATE exam is likely to be held in 16 foreign countries. In addition to candidates seeking admission in M.Tech and Ph.D. programs, the GATE score is also important for candidates who are looking for engineering jobs in PSUs such as GAIL, BPCL, BSNL, IOCL, BARC, BEML, ISRO, SAIL, ONGC, DRDO, NTPC, etc. A total of 9,22,167 candidates appeared for GATE 2017 exam this year. The final results for GATE 2017 exam will be announced on 27 March, 2017. If you want to know about your GATE score before the official release of GATE 2017 result, then you can download the GATE 2017 answer key along with detailed GATE 2017 solutions for each branch prepared by subject experts at IES Master.